Franziska Sauerbrey studied cultural studies, theatre studies, and business administration in Vienna, Paris, and Berlin. She worked at the Théâtre National de l’Odéon in Paris, with the Chelsea Group in New York, and for several German cultural institutions. In addition, she taught at the Institute for Cultural Studies of Berlin’s Humboldt University. 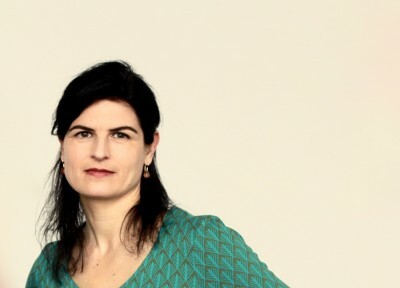 In 2007, she and Isabel Raabe founded the büro für kulturelle angelegenheiten (“office for cultural affairs”) in Berlin. They jointly designed and produced international cultural projects such as exhibitions, multimedia performances and theatre festivals. In 2012, on behalf of the Central Council of German Sinti and Roma, the büro für kulturelle angelegenheiten oversaw the programme accompanying the inauguration of the Memorial to the Sinti and Roma of Europe Murdered under the National Socialist Regime. In 2014, Franziska Sauerbrey and Isabel Raabe produced an audio book about Zoni Weisz’s life (“Ein gutes Leben. Zoni Weisz erzählt seine Biografie”; Berlin: Vebrecherverlag, 2016). In 2015, after a two-year preparatory research phase, Franziska Sauerbrey and Isabel Raabe initiated the project “RomArchive – Digital Archive of the Roma”, which the German Federal Cultural Foundation will support until 2019. RomArchive will subsequently be transferred to an international Roma organisation.